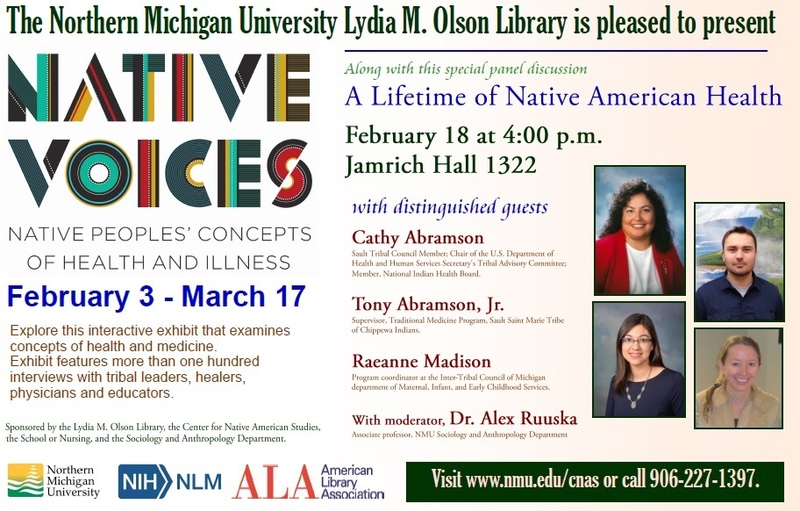 As part of the Native Voices touring exhibit here until March 18th, please join us for a panel discussion this Thursday, the 18th of February, from 4 to approximately 5:30 pm in Jamrich Hall 1322 (the classroom closest to the passageway to the library). This will be streamed online. Following the discussion, please join us in the library atrium for a reception featuring indigenous foods from the Great Lakes Region. These events are open to the public. We hope to see you there.